My husband and I got to stay for the first time at the Animal Kingdom Kidani Village and it did no disappoint! Kidani Village is the Disney Vacation Club resort side to the Animal Kingdom Lodge. They have studios and one, two and three bedroom villas. 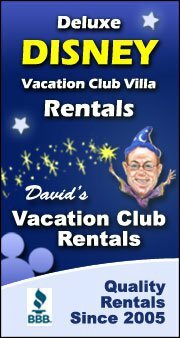 You can book rooms here directly with Disney or a less expensive option is to rent DVC (Disney Vacation Club) points through a company like David’s Vacation Club Rentals and book. Check out my post The Ultimate Disney World Planning Guide for more info. The Animal Kingdom Lodge is surrounded by Savannah and many of the rooms have a Savannah view. Unfortunately, ours did not, but there are many viewing areas throughout the resort. Here are a few reasons while you’ll love this resort. This resort is considered Deluxe level and was beautiful. There were so many details in the room from the shower tiles to the edgings on the wooden cabinets. You can watch my initial walk through and the reveal of our view, which unfortunately was not of the Savannah. We were very close to the main lobby of the resort which I loved. The resort wraps around the Savannah and if you are at the far end you would have a long walk. Luckily, we were close to the lobby, which was also closer to transportation, food, the pool and the viewing areas. But, our view from our room was of the entrance and parking lot. This is hands down the best part of staying at the Animal Kingdom Lodge! There were many animals to see day and night. They have picture guides in the room to refer to and kind Cast Members who are also native to Africa who are able to answer questions you may have. night vision goggles for viewing animals on the Savannah at night! I loved this as there are several animals you can only see at night. For an extra fee, you can also go on night time safaris with a tour guide. The pool at Kidani is amazing. There is fun to be had for the entire family. To access the pool you must go down the elevator in the Rafiki section to the parking garage level. Follow the signs down the sidewalk and to the left you’ll pass through a gate. and the largest slide at the Animal Kingdom Lodge! This slide is 128 feet and is so much fun! The kids splash area called Uwanja Camp is also extensive with many play areas. The kids will have a blast here! You’ll also find a bar with snacks and refreshments for the whole family! Sanaa is the restaurant at Kidani and is definitely worth a visit. Their breakfast which is served 7:00 am to 10:00 am does not require reservations. They also have the Sanaa tour at 4 pm that teaches you about authentic dishes, unique artifacts and includes some taste testing. You’ll enjoy your meals here with a view of the Savannah. The room service is also excellent. I highly recommend the Banana Bread with homemade Hazelnut Spread. I saw a lot of people going through the lobby to get to the busses, but there is an access point down the hallway. Head down the hall towards the arcade and follow the signs to the double glass doors on your right. Follow the walkway around to the left to access the bus pickup/dropoff. Parking is in a garage below the resort. I recommend either pulling up to the entrance to check in or parking directly below the lobby. If you’ve checked in online, make sure to check the map they text you to see what section of the resort you are in, this way you will find a parking space as close to your room as possible. Enjoy my video overview of the Kidani Village resort on my YouTube channel. Have you visited the Animal Kingdom Lodge? Did you stay at Jambo House or Kidani Village? Do you have a favorite? What was your favorite part of the resort? Share in the comments section below! Craving more? Check out all of my Disney World Posts! This entry was posted in Disney World and tagged african, animal kingdom, cattle, deluxe studio, Disney World, giraffe, jambo house, kidani village, lodge, night vision, ostrich, overview, ram, resort, restaurant, safari, sanaa, savannah, view, youtube. 2 Comments on "Why You’ll Love Disney’s Animal Kingdom Lodge Kidani Village"
I discovered AKL Jambo several years ago and have made it my go to place since then. I’ve even done a few days solo just to relax and contemplate on life. I’m taking my husband, who’s not a Disney person, in a few weeks. I think he’ll totally enjoy the experience. Would highly recommend for adults only as well as families. Yes, I agree AKL is amazing just on it’s own. I’m also going to take my sister and nephew next year to Disney and we will be staying at AKL for that trip too. I know my husband especially loved it there.